Reg is our core trainer and is a Certified Trainer and Master Practitioner of NLP, management and sales trainer. He is a former Registered Psychotherapist with the United Kingdom Council and guest trainer with the Irish Management Institute. In addition he is an RCD Accredited National High and Low Ropes course Instructor. He is known for his informal, innovative and humorous facilitation style and for his extensive experience in applying NLP in a wide range of contexts with some thousands of people and covering such as areas as management training, trainer training, sales training, stress and anger management, therapy, personal and professional coaching, sports psychology and team development. He has trained with most of the leading NLP innovators including the co-founder Richard Bandler. Reg now works full-time with Pegasus NLP and until recently he designed and presented trainings for the general public as well as for large and small organisations in the UK, Ireland and continental Europe. 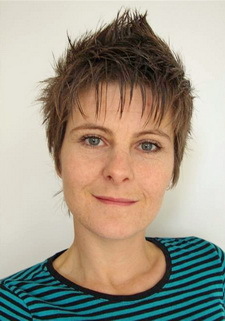 Lizzi is a Certified NLP Trainer and Master Practitioner with a background in sports therapy where she first developed a keen interest in mind-body connection linked to health and wellbeing. Working in the corporate field for 14 years she moved from commercial operations management roles to specialising for the past 7 years in learning and development consultancy. With extensive experience of strategy creation and change management working on large scale business acquisitions she has a passion for maximising team and individual potential through developing natural curiosity and personal flexibility. Most recently Lizzi headed up Stores learning and development at W H Smith before becoming a freelance business and personal transformation coach. Lizzi’s specialist areas include interpersonal impact, team dynamics, influencing and negotiation skills, facilitation, remote leadership and stakeholder relationship management. She has worked with junior managers through to board directors in these fields. A member of the British Psychological Society she has a wealth of familiarity with a variety of psychometrics, now however favouring the flexibility that NLP offers. Christophe is a Certified NLP Trainer and Master Practitioner with a background of 15 years training in organisational training in the UK. 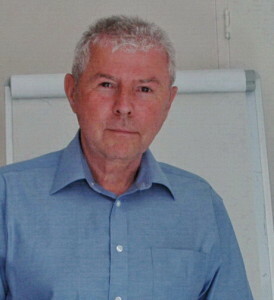 He now lives and runs training programmes in his native France and visits the UK for Pegasus NLP training programmes. Christophe has worked with a wide range of industries training and coaching at all levels of management and specialises in developing and optimising team performance. 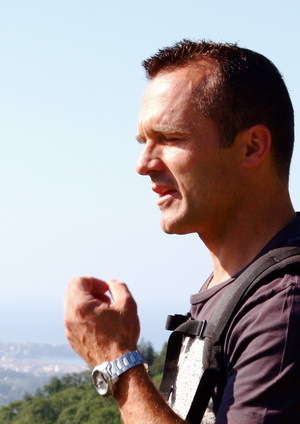 In 2001, he co-founded an award winning company which focussed on the professional development of individuals and teams through training programmes, coaching programmes and personal development tools. Iain is a Certified NLP Trainer and Master Practitioner. He is a learning facilitator and change consultant, working in all areas of business where people really matter. Using NLP, he focuses on developing systems that help people deliver real value to their customers, in an engaging and lasting way. Using techniques drawn from NLP, Lean thinking, brain based learning and Kaizen, he designs and delivers highly engaging learning programs that meet the needs of both the organisation and the learner. With a passion for learning and growing, he has helped a wide range of organisations develop, from food factories to national sales teams, from the shop floor to the board room. He trained as an engineer in the aircraft industry, and has moved through project management and people leadership roles in many large organisations, working in many different countries and cultures. He has studied lean thinking under Japanese and western experts and has used these skills to set up lean programs in many different organisations across many countries.